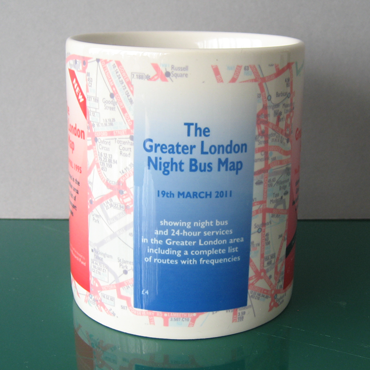 To mark the release of the first ever printed edition of The Greater London Night Bus Map, I have launched a high quality promotional ceramic mug. 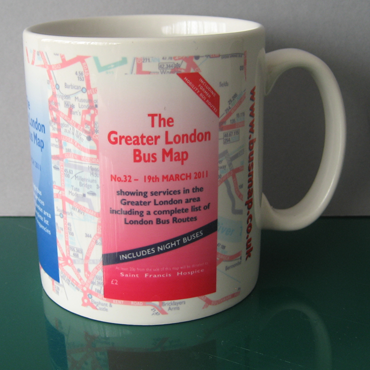 This mug is dishwasher and microwave safe and is a Limited Edition which is exclusively available from The Greater London Bus Map Shop. 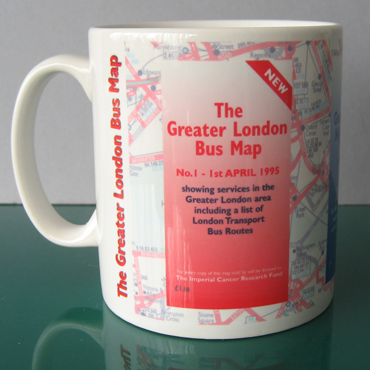 This mug is £9.99 £8.00 post free to UK addresses. Postage for this mug to Europe is £4.50 (4.50 GBP) and to the rest of the world is £8.00 (8.00 GBP). This mug will be sent by Airmail to all international destinations. Click here to order yours today, while stocks last.